Mighty and protective, the Tiger Eye is know as the "all-seeing-all-knowing eye" with compelling powers. Long considered to be a stone of wealth and prosperity, it protects the the bearers resources and mirrors back possible threats from others. Tiger Eye is a stone of luck and good fortune ready to attract a steady flow of money to its bearer. It is the ideal stone for entrepreneurs and those setting out for major career changes in the future. 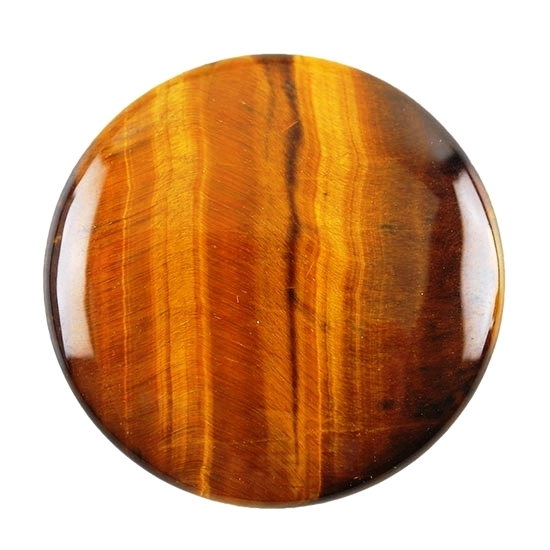 Carry Tiger Eye with you for increasing insight and perception in unfamiliar places and circumstance. It will keep you protected from negative intentions and energies of others. This is an incredible stone to use for quick thinking, resolving a crisis, or for support to make the right decision in crucial moment. Tiger eye serves as a compass that guides you in the dark, helping you to harness the powers of the Universe in whatever you set out to do. Whether it is matters of the Heart or your boldest career ambitions Tiger eye will lend you the courage, the strength, and the Self Confidence needed to go after and fulfill your dreams. Tiger Eye was chosen by the Egyptians for the eyes in their deity statues to express divine vision and was believed to provide the protection of the Sun, the Earth, and the God of the Growing Land. What will you choose to manifest with Tiger's Eye? Let us know in the comments below.